I tried downloading the files, and noticed that the links were wrong for the ClipTool Download. Oops! I fixed the “download” page to not be “downloa”. Links should work now. I'd been meaning to attempt poses for a while, but always been scared (silly, I know). But then I found this tutorial and decided I'd just go for it. I've made quite a few, but I'd like to move on from standing poses to seated and lying poses. Only thing is, I can't work out how to move the floor if you know what I mean? Like, I'll make a decent lying pose, but they'll be floating mid-air! Oh, and I'm being stupid, but I also can't work out how to edit my poses I've already made. There are a few clipping issues with clothes on the ones i've made, but can't figure out how to open the file in blender again! I am trying to get this all right so I can make poses. 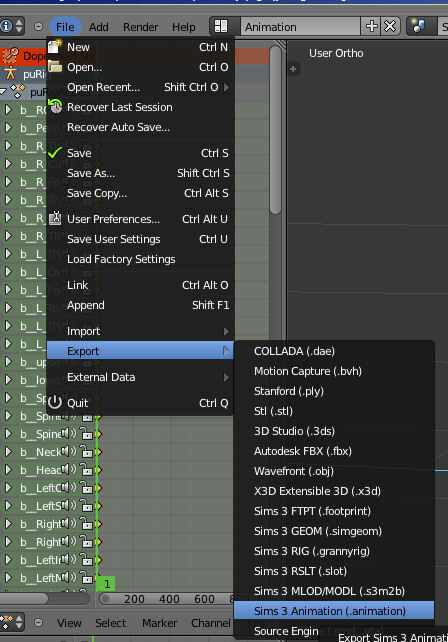 Now when you talk about putting the Rigs into the ClipToolRigs where does that folder go? I have gotten everything downloaded and the rigs.rar (they actually downloaded as compressed folders). How do I get the rigs to show in the blender? And do I need the io_s3py_animation-1.57 to be in the blender as well?? I hope I am making sense. I have been making sims and houses; now I would like to take my creating a step further. I got the rigs figured out. My head wasnt being willing to see everything in this tutorial. Thank you for making this. Help Please! 😦 I have installed everything following the instructions to a T. I have sat here and created a pose that I really like. 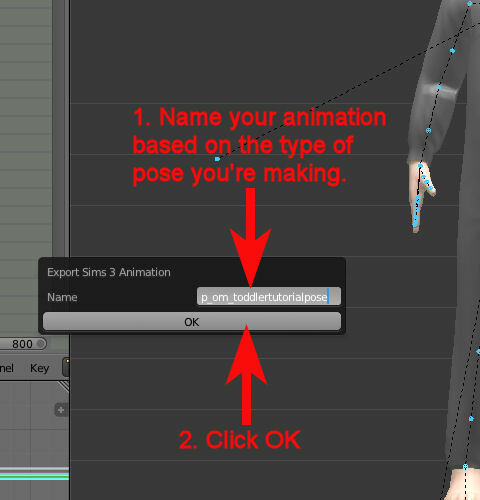 But when I try to export it it says “Armature has no animation data to export.” How do I fix this? It sounds like the key frames did not get set. Try repeating step 3 of the pose section of the tutorial. I’m at your service, young one. I’m glad the tutorial helped you, but I didn’t write it, orangemittens wrote all of the tutorials here 🙂 You should thank her. First of all I want to thank you for all these wonderful tutorials! they are really great! 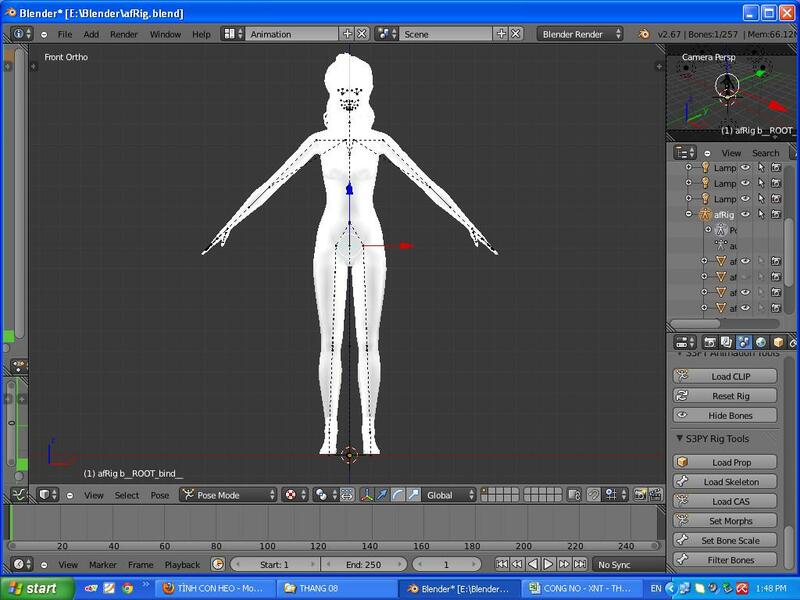 I’m trying to figure out a way to incorporate maya to do sims 3 animations (I’m well versed in animating in maya and would like to add a rig ontop of the pre existing sims 3 rig to facilitate animation). I’m thinking of exporting the rig from blender into maya. Do the animation in maya and then bake the keys onto the joints and then export that into Blender. 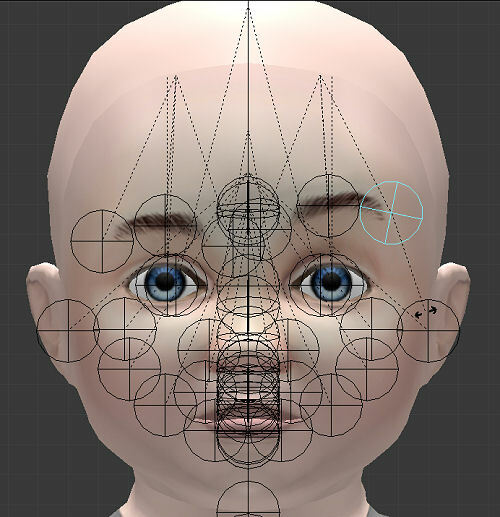 So the blender will have the rig with all the keys/animation but not the geometry. So my question is when you make the .animation file in blender does it only take the joints/keys? or does it take the mesh as well? Hi Leslie. The meshes and textures are only there to make it easier to see what the end result will be. 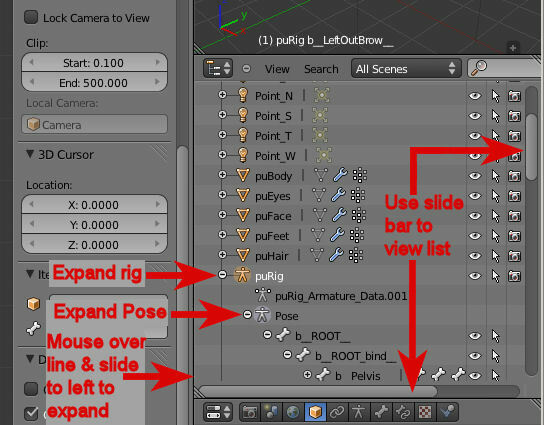 When exporting as a .animation, the only thing that is used are the keyframes and the associated joint names. I don’t have Maya to test with, but presumably, if you can get your maya animation to work in blender on one of the provided rigs, it should export to .animation fine. Ok, I followed everything to the letter. But once I went in game to test out my pose, it was just in the default position when you start blender. Was there something I did wrong or something I missed? This is the only thing I believe could’ve gone wrong, step 3 – if you didn’t do it, that could happen. Okay, I feel so dumb now. This was in fact the problem. I can’t believe I didn’t realize this before. Thank you so much! I did that and I still get the same result. Could you try loading the rig .blend file then import the .animation file that you created? If that works then the pose is fine, but there may be other problems with how it was named, packaged or played in game. What’s the prefix for puppy and kitten poses? I don’t know why, but I open Rig file and it’s like this. My computer at home is not like that! Hi, I’m not completely sure why that happens to some people. I think it has to do with blender not liking certain graphics cards. You can try using older versions of blender and see if it helps. If you do however use an older blender you may have to use an older version of the plugins too. how can I turn the rig like to see the back? Hi. I’m not sure what’s going on. I did all the steps but instead of posing the model it’s warping their limbs. Like this: http://tinyurl.com/m5fembf. What did I do wrong? When i open the blender and click on the sims or animals they all go white and then i can move or do anything what have i done wrong? Thank you for this, I’ve done a few poses because of your tutorial. I am trying to work on the faces, and I want to do poses where I can sort of close eyes, entirely, or only slightly, but, I’ve been looking and I don’t think I’ll ever figure it out. I apologize if I speak bad English, I’m French ..
I’m not sure that I am understanding exactly what is happening. Do you have the “Export> Sims 3 Animation (.animation)” option? 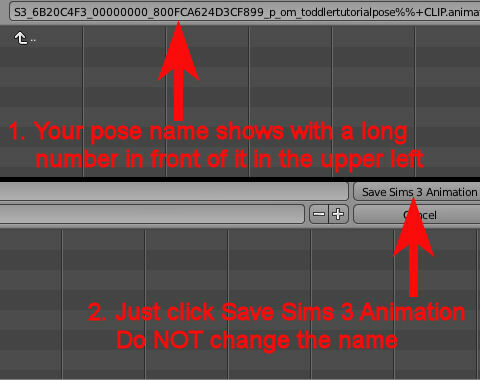 If you do, look for a small window when you click it called “Export Sims 3 Animation” (There is a picture in step 2 of exporting animation). The small window is not so noticeable and if you click outside the window it disappears and you will need to export again. Once you name it with the correct name like a_ for adult poses and click “OK” it should let you choose where you want to save the .animation file. If you can tell me exactly what happens from the moment you click export sims 3 animation, i can find out what went wrong. 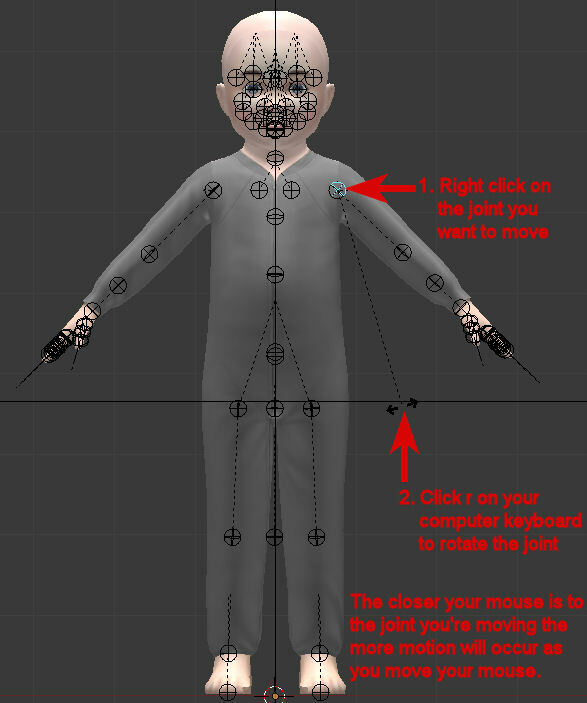 do the poses show up in the player or do i have to “pose by name” ive done EVERYTHING including step 3 and i dont see my poses. S3PE is the “Sims 3 Package Editor”. Orangemittens provided a link to it on this tutorial, but now temporarily the site is down. Basically S3PE is just a program that allows you to create and edit Sims 3 package files. 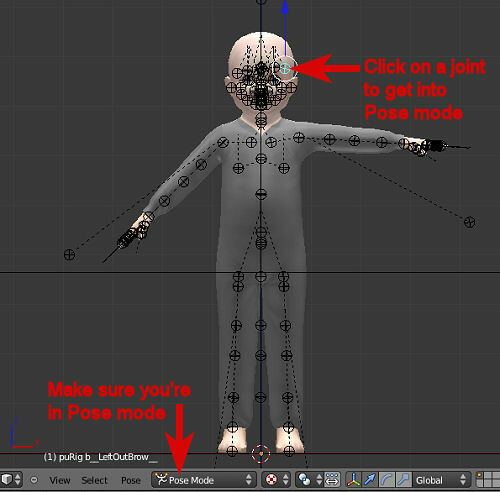 Pose mods are always in the .package format instead of the .sims3pack, so you need a package editor to create your poses. When I go into the export list, I cannot find the Sims 3 animation. Why is this? Do you see the “Sims 3 Animation (.animation)” when you click File > Import ? Im haveing the same problem and all the other stuff is alright but I dont now why it isnt showing up when I go to File export. What could be wrong? Help! 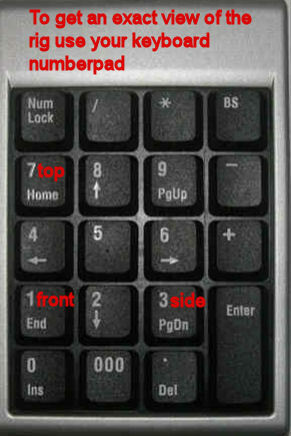 When I try to right click something, it just doesn’t select, what am I doing wrong? Are you in pose mode? You can make sure you are by looking at the illustration in step 2 part e above and verifying that you are in the correct mode to pose. 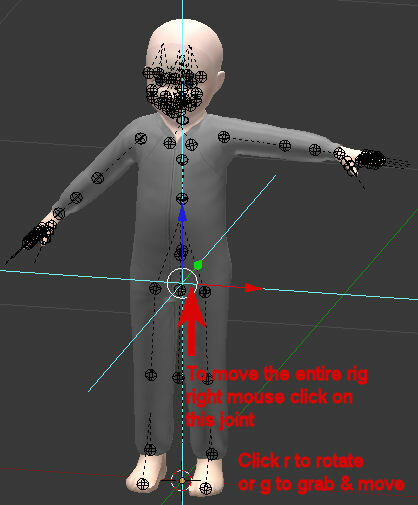 figured out how to select joints in menu so i can still pose, still can’t select with right click however which would be much more convenient. Thanks for the tutorial. I used an adult male rigfile to practice and successfully made a kneel down pose. 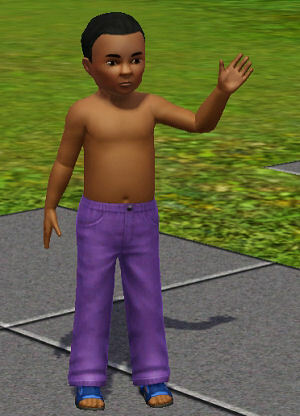 When I test in game, my sim only do the same pose as the original rigfile (standing, with hands wide open). 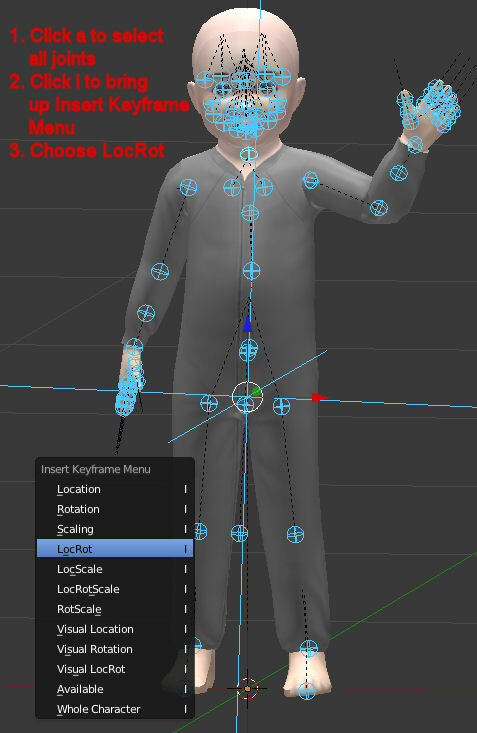 Before export it to .animation file, I did press the A key to select all joints and click on LocRot. How could I solve this problem? Thank you so much for this. You are wonderful!!! I thought I was never going to learn how to make poses. I can’t say I know everything because I just made a smiling toddler, but I will learn as I practice more. Thank you, thank you, thank you. This is the best tutorial I’ve seen so far! Just a ? though. I was able to open my S3PE with Wine, but since the file opening is built for PC’s, I am unable to reach my animations. Everything else has gone smoothly. Is there any way to fix this? Never mind! Got it working. Thanks for the tutorial again! Hi ! I do all steps you said , but when I open the blender my sim female is completely white 😦 What I can do now ??? Thank you , If you don’t understand I can put a photo to see ! This file does not contain the expected package identifier in the header. do you know what could help with that? This error is when s3pe is told to open a file that isn’t a sims package. In the last step, you should be creating a new package with “File>New” and that will create an empty one. 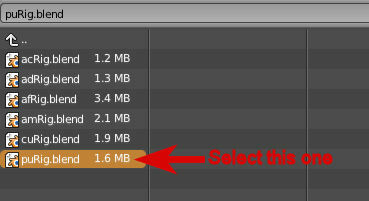 Make sure to import the clip into the new package and not use “File>Open” for the clip. Hi, I’d like to know what the .animation save thing is for a baby, not a toddler, unless they are the same thing. Thanks! thank you (A and Orangemittens) so much for this tutorial and the plugins!!! 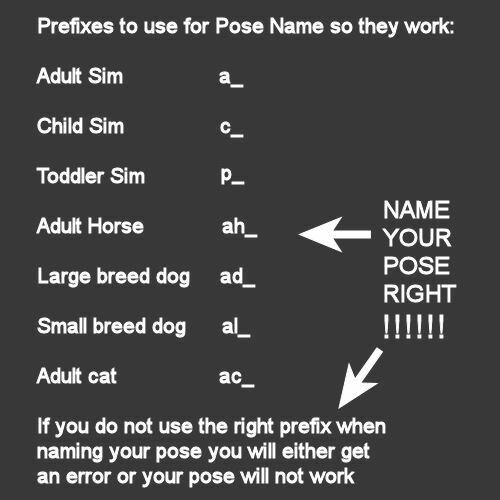 finally made a pose after wanting to for so long and i’m so glad :3 only thing i’d add is every prefix for every sim, as i had to search up some of the ones missing on here (such as puppies and such). Now i’ve done everything and i’m ready to export my pose, but when i look for the Sims 3 Animation-option, i can’t find it. So i’m just wondering if anyone knows how to fix that? I imported the pose into my game, but it works differently from the pose i downloaded made by others, Other pose will not stop until I cancel the interaction, but mine, it seem like there is a certain period that my sims will take the pose, then they will unfreeze themselves, the pose will not be cancelled even I cross the interaction, sims will only unfreeze after certain time. is that I did anything wrong during the making? First off, thank you so much for such an easy-to-follow tutorial. I’ve been having a blast experimenting with my own poses! I’m having a problem with sim heights. 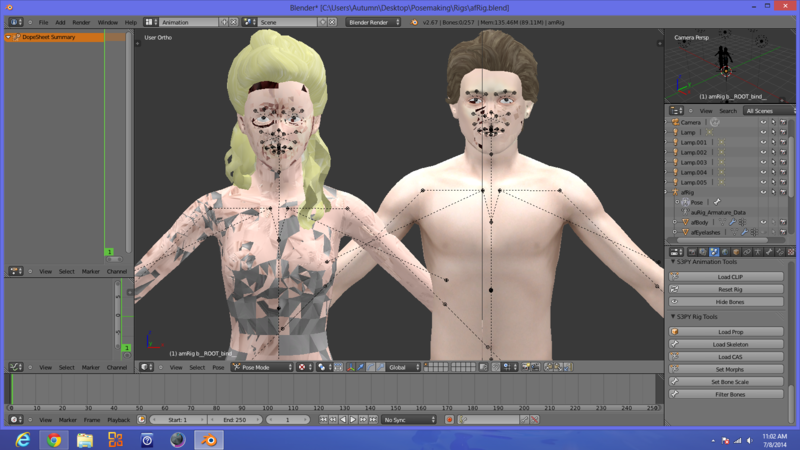 I’m screwing around with the blender scale options, making my characters much taller. The heights don’t translate in the actual game – they’re still the same height. Can you tell me what I need to do? Thanks! It’s especially noticeable when rotating the camera, as it does what I can only describe as “shimmering.” It’s fine when I switch to solid and it doesn’t affect the poses in-game, but it’s difficult and sometimes impossible to accurately pose the eyes. I’ve reinstalled Blender, the plugins, and the rigs but I can’t figure out what’s going on. Any advice? Hello..when i started to klick I after i klick A,why it said report error :no active keying set. I’m trying to play an animation of an adult dog, but it just deforms upright as if it were conforming to a human rig. All the humans work fine, and i’ve even used the “ad_” prefix too. not sure why it is happening. You may want to check that you have the latest pose player. The previous versions did not support pet poses. I did everything that I was told to do but when I do the last step and Import the file into S3pe a message pops up saying “Some resource names may not be displayed” What should I do? why when i click afrig,it turns all black? I need help 😦 i got everything but s3pe wont work and i really want to make poses because i have a instagram acc ( sims.forever ) and for my 200th follower gift i really want to make some poses????? Hi I put my pose in my game but it won’t show up. I tried to add it into pose player, but my sin does nothing. I followed these steps but I don’t know what to do. I went in game, typed the code in pose player and went to my list & tried making my sin pose, but still nothing. Is there any way to fix this? I don’t see the pose in the game, the sim is just…standing. I think that I do everything good, I just follow the steps perfectly…But I don’t have the pose in the game. What can I do? Sorry for my bad english, is just learn english at school for 2 monds. I see that I’m not the only person that have these problem…Please, help us. WE NEED HELP, SO HELP US PLEASE.